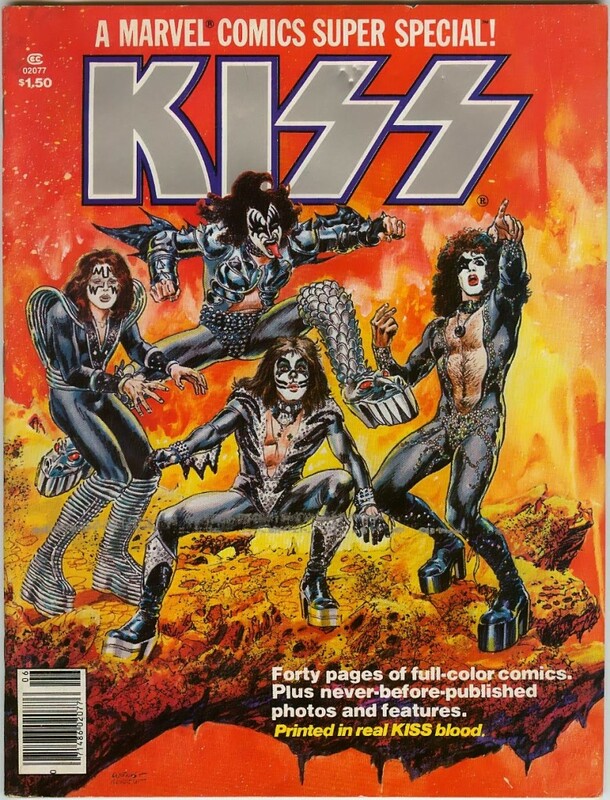 In 1977 Marvel Comics published Super Special KISS full-color comic book presenting the band as superheroes. Blood from each band member was drawn by a registered nurse, witnessed by a notary public, and poured into the vats of red ink used for printing the comic at Marvel’s Borden Ink plant in Depew, New York. Here is the letter from the notary. 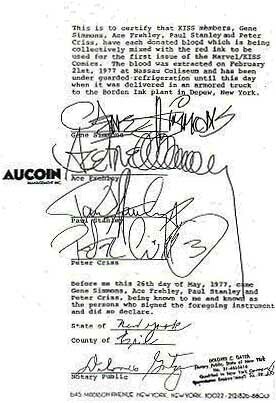 It reads, This is to certify that KISS members, Gene Simmons, Ace Frehley, Paul Stanley and Peter Criss, have each donated blood which is being collectively mixed with the red ink to be used for the first issue of the Marvel/KISS comic. The blood was extracted on February 21st, 1977 at Nassau Coliseum and has been under guarded refrigeration until this day when it was delivered to the Borden Ink plant in Depew, New York. 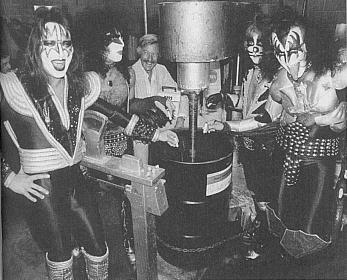 Not the first time KISS has done something out of the ordinary in regards to marketing. They also made limited edition KISS caskets and “Dimebag” Darrell was buried in one.